Trident Health Center (Peoria) - Book Appointment Online! 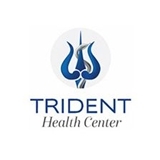 Welcome Trident Health Center was established with the principle that the relationship between the physician and the patient as the foundation of good health care. Our mission is to work together with our patients in the treatment of disease and the prevention of illness. We are a full-spectrum family medicine practice that is committed to being your health care partner. In addition to Dr. Arvind Mahadevan, patients can see Lisa Neff, PA for their medical needs.